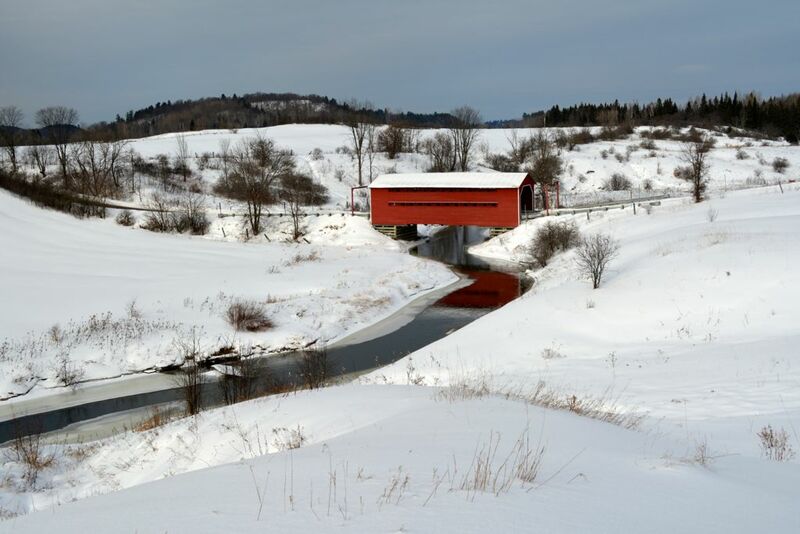 Winter at the Ruisseau-Meech Bridge over Meech Creek, one of seven authentic covered bridges remaining in the Gatineau Valley. In the nearby quaint village of Wakefield (La Pêche), there is the spectacular reconstructed Gendron bridge spanning the Gatineau River. In the early 20th century, there were hundreds of such bridges dotting the Québec countryside.